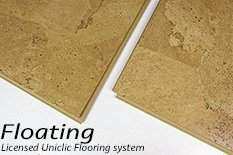 Floating cork flooring Benefits with Uniclic System. Most people when they hear the word cork think of cork boards and wine bottle stoppers. But cork is so much more than a bottle stopper. The construction industry has taken to cork like a duck takes to water. One of the reasons is how floating cork flooring sounds, or maybe doesn’t sound. Cork flooring is very quiet, you don’t get the thumping of clicking sounds when stepped on like hardwood, stone, or ceramic floors. Cork has a cellular structure that allows it to absorb sounds. The cell structure of cork is like a honeycomb only it is filled with air, and not honey. These trapped air pockets are what acts as a sound insulator. Therefore when you walk or drop something on aFloating cork flooring there will be little sound transfer. A cork floor is capable of taking much more abuse than most other types of flooring under a higher rate of use. If you are looking for an environmental green floor, cork is ideal solution as this material is renewable and durable enough to last years. 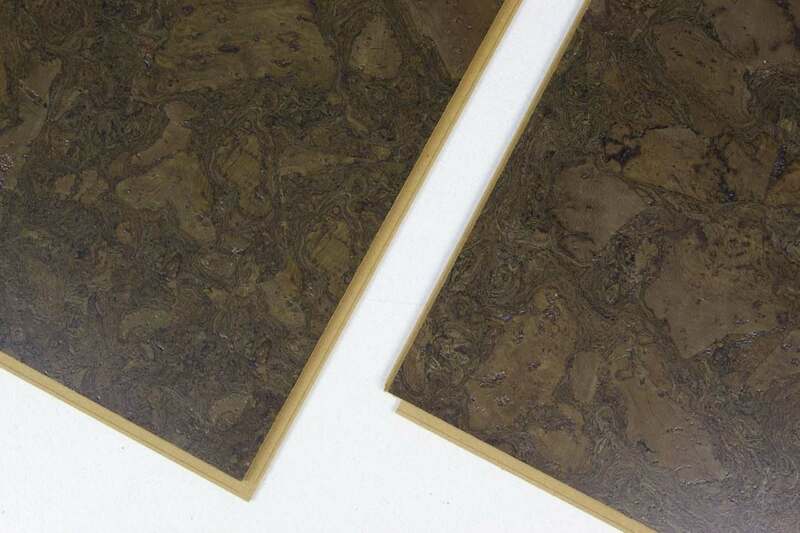 The oak trees that produces cork are not chopped down, the bark is carefully peeled off the tree every 9-12 years to manufacture the tiles for our product. The cork oak tree has an estimated lifespan of 250+ years. This gives cork an ‘A+’ rating for being a healthy go green addition to any home. So if you’re looking for a new flooring material that is good for the environment than you’ve come to the right place One of the best ways to install a floating cork flooring is to go with a floating cork flooring. This type of installation allows homeowners the freedom to install theFloating cork flooring over an existing floor. No need to rip up your old floors, just make sure you lay the floating cork flooring over a clean and even surface. We employ the Uniclic System on our floating cork flooring, under strict license. Our flooring system has a clever tongue & groove technology which allows you to click the planks together so tightly you can hardly see the joints. You don’t need to do any gluing. This process is easy enough that a DIYer with basic carpentry knowledge can install in just a couple of hours. The tongue and groove technology ensures that no dirt can get in between the planks and accumulate over time.